Find the affordable, reliable and extremely efficient preowned 2014 Honda Civic Coupe at Patty Peck Honda. Jackson area Honda fans will be sure to love everything the Civic has to offer. Reliability, safety, and fuel efficiency remain strengths of the Civic, whether the model is new or used. 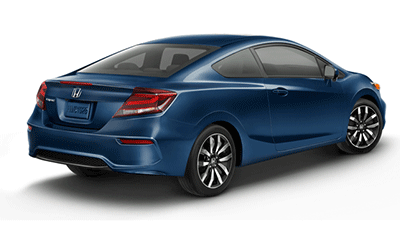 The Civic Coupe was redesigned from headlights to tail lights for 2014. The refresh brought new wheels, and the available Smart Entry feature means you can keep your keys in your pocket to enter the vehicle. The sleekest Coupe yet is available at our Honda dealer serving Jackson right now! Under the hood, you’ll find the impressive 143-horsepower 1.8-liter i-VTEC® engine, paired with Honda’s new Earth Dreams™ technology continuously variable transmission for amazing fuel efficiency. Press the Push Button Start and enjoy cruising to the tune of 30 city/ 39 highway mpg equipped with the CVT tranmission. Save at the pump while getting more miles between fill ups. Paddle shifters create an engaging driving experience, like something out of a video game. Inside, the i-MID is your go-to for all your important, drive-related information. It displays info like your current mpg, trip range, the song you’re playing, text messages and even turn-by-turn directions if you opt for the available navigation system. And if you ever need to reverse course, i-MID will also display images from the multi-angle rearview camera. The Civic LX Coupe is equipped with a 160-watt AM/FM/CD audio system. Standard on all Coupes are mounted tweeters. EX and EX-L Coupe models provide an even more impressive premium audio system, with 360 watts from 7 speakers, including an 8-inch subwoofer. Connect your iPod with the integrated cord to hear all of your favorite music on the go! A 2014 IIHS Top Safety Pick, the Civic remains a smart and reliable vehicle with a long-standing reputation for passenger safety. Additional standard safety equipment on all Civic models include Vehicle Stability Assist™ with traction control; an Anti-lock Braking System; side curtain airbags; dual-stage, multiple-threshold front airbags; and driver and front passenger side airbags. Have peace of mind and drive with confidence with the Honda LaneWatch™ blind spot display. This award-winning technology provides unprecedented visibility. This technology lets drivers get an up-close view of any blind-spot traffic in the right-lane from a camera display on the navigation screen as the driver prepares to switch lanes. 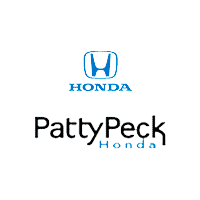 Test drive a used Honda Civic Coupe at Patty Peck Honda today! Our dedicated sales team is ready to help. Contact us to get started.